My husband and I turned 60 this year and we are preparing to get our affairs in order as we look towards retirement. According to the Life Insurance and Market Research Association 51% hang up their boots between the ages of 61 and 65. By age 75, 89% of Americans have left the labor force. My husband is in the first category and I’m in the second. I love working with the elderly and hope to continue working well into my 70’s. In January we met with our financial advisor and our estate attorney to make some long overdue updates to our legal documents. Our Edward Jones Financial Advisor, Joellen Nelson believes in working closely with our CPA, attorney and other professionals so that we can determine the most appropriate financial strategy. During our meeting we were able to develop a financial strategy with tools and resources to help my husband and I reach our individual and combined retirement goals. Our yearly review helps us to prepare for unexpected events and expenses. My husband is the numbers guy and to me it seems like a foreign language. Thankfully our advisor was able to explain everything so that we both have a better understanding of our future. The next stop was to our estate attorney, Melissa Shirey to update the will that we wrote over 30 years ago when the kids were young. Recently some situations came up with a member of our family that left us asking questions about what their wishes were in the event of a medical emergency. That’s when my husband and I decided that we needed to have everything spelled out for our own family before we had a medical emergency of our own. There are various decisions to make and it definitely opened up alot of discussion. Its not really a topic that one may want to review. 2) Decide who will take care of your minor children. A will allows you to make an informed decision about who should take care of your minor children. Absent a will, the court will take it upon itself to choose among family members or a state- appointed guardian. Having a will allows you to appoint the person you want to raise your children or, better, make sure it is not someone you do not want to raise your children. 3) To avoid a lengthy probate process. Contrary to common belief, all estates must go through the probate process, with or without a will. Having a will, however, speeds up the probate process and informs the court how you’d like your estate divided. Probate courts serve the purpose of “administering your estate”, and when you die without a will (known as dying “intestate”), the court will decide how to divide estate without your input, which can also cause long, unnecessary delays. 4) Minimize estate taxes. Another reason to have a will is because it allows you to minimize your estate taxes. The value of what you give away to family members or charity will reduce the value of your estate when it’s time to pay estate taxes. 5) Decide who will wind up the affairs of your estate. Executors make sure all your affairs are in order, including paying off bills, canceling your credit cards, and notifying the bank and other business establishments. Because executors play the biggest role in the administration of your estate, you’ll want to be sure to appoint someone who is honest, trustworthy, and organized (which may or may not always be a family member). 6) You can disinherit individuals who would otherwise stand to inherit. Most people do not realize they can disinherit individuals out of their will. Yes, you may wish to disinherit individuals who may otherwise inherit your estate if you die without a will. Because wills specifically outline how you would like your estate distributed, absent a will your estate may end up on the wrong hands or in the hands of someone you did not intend (such as an ex-spouse with whom you had a bitter divorce). 7) Make gifts and donations. The ability to make gifts is a good reason to have a will because it allows your legacy to live on and reflect your personal values and interests. In addition, gifts up to $13,000 are excluded from estate tax, so you’re also increasing the value of your estate for your heirs and beneficiaries to enjoy. Be sure to check the current laws for your year to learn the most up-to-date gift tax exclusions. 8) Avoid greater legal challenges. If you die without a will, part or all of your estate may pass to someone you did not intend. For example, one case involved the estate of a deceased son who was awarded over $1 million from a wrongful death lawsuit. When the son died, the son’s father – who had not been a part of his son’s life for over 32 years – stood to inherit the entire estate, leaving close relatives and siblings out of the picture! 9) Because you can change your mind if your life circumstances change. A good reason for having a will is that you can change it at any time while you’re still alive. Life changes, such as births, deaths, and divorce, can create situations where changing your will are necessary. 10) Because tomorrow is not promised. Procrastination and the unwillingness to accept death as part of life are common reasons for not having a will. Sometimes the realization that wills are necessary comes too late – such as when an unexpected death or disability occurs. To avoid the added stress on families during an already emotional time, it may be wise to meet with an estate planning lawyer to help you draw up a basic estate plan at the minimum, before it’s too late. May 14th to 20th was National Senior Move Managers week, so I thought I’d share a little about myself and how I became a Senior Move Manager and member of The National Association for Senior Move Managers (NASMM). In 2000, my Dad’s health was declining, so I decided to move him 1,200 miles from West Palm Beach, Florida to Erie, Pennsylvania. With my two young daughters in tow, my husband and I drove to Florida, packed up his three bedroom home and drove a U-Haul back. We got him settled into a senior living apartment just five miles from our home so I could be near him. In 2009, my dear friend lost her husband suddenly. While she was grieving, she entrusted me to sort, purge, and sell 90 percent of her belongings from her two-story house so she could move into an apartment in New Jersey with her elderly parents. I held my first-ever house sale and was able to help the realtor stage her home, which then sold in one week. Through word of mouth, friends recommended me to another friend, and I developed a close connection to a local senior living coordinator. Before I knew it a business had emerged. 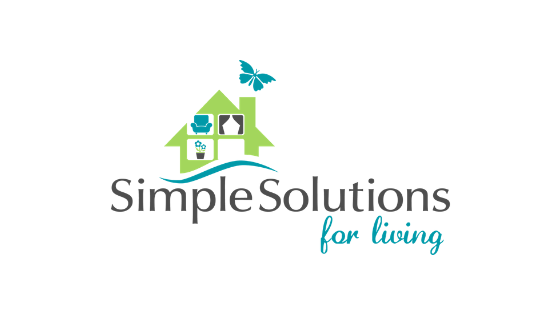 Today, as the owner of Simple Solutions for Living, LLC, I’ve helped over 60 clients right-size. Every client has had a different need ranging from making one’s home more senior-friendly (aging in place) to sorting, packing, and moving a client from a 3,500 square foot home into an 800 square foot assisted living facility. Every job is unique, and that’s what I love about my job. I get to work closely with such wonderful people who share stories of their belongings past and present. Moving is never easy. It’s even harder when personal belongings must be parted with. My clients can tell you first hand that I can make that process just a little easier! In 2015, I applied for membership of The National Association for Senior Move Managers. NASMM is internationally recognized for its expertise on issues related to Senior Move Management, aging in place, and transition and relocation issues affecting older adults. I was vetted for experience and insurance and passed certificate classes in Senior Move Management Ethics and Accountability and Senior Move Management Safety. I am also a member of the Independent Council on Aging (ICA) and I am proud to be an Erie Ambassador. February 14th is Valentine’s Day, also called St. Valentine’s Day, it’s the day that is designated to celebrate our love to the special people in our lives; when lovers express their affection with greetings and gifts. Last year $1.6 billion was spent on candy, $2 billion was spent on flowers and over $4 billion was spent on jewelry!Besides Valentine’s Day February is celebrated as the month of Love and Romance. The entire month of February is also dedicated to the people who love books. It is National Library Lover’s Month! Treat yourself by enjoying and exploring your favorite book titles at your local library. Libraries not onlylend books but music and movies too. Consider volunteering at your local library. February is also American Heart Month. It is the perfect time to focus on your heart health and to remind your friends and family to focus on their heart health too. Cardiovascular disease, including heart disease and stroke, remains the leading global cause of death with more than 17.9 million deaths each year. The good news? Heart disease can often be prevented when people make healthy choices and manage their health conditions. While you can’t change things like age and family history, the good news is that even modest changes to your diet and lifestyle can improve your heart health and lower your risk by as much as 80 percent. Move more by increasing physical activity and eat with heart health in mind by adding more fruits, and vegetables and reducing fats, sugars, and sodium. Friday, February 1 is National Wear Red Day® to raise awareness about cardiovascular disease and save lives. Dedicate this month to self-love and treat yourself to a good book, a yummy cup of hot chocolate, coffee or tea, a massage, time with a dear friend, or a brisk walk. Be kind and patient with yourself. Accept your quirks and what makes you different. Embrace your attempts, your intentions, your baby steps and your missteps. The days are getting longer and I am hoping with this April issue that the temperature is warmer and it feels like SPRING! The longer days and warmer weather work as a stimulant and it gives you more energy. Spring is the time of year when you open your blinds to welcome the sun and throw open your windows to let fresh air in. Spring Cleaning is the opportunity to wash away the winter dirt and grime,clean the windows, and wash other areas that have been neglected. If you’ve heard all the buzz about Marie Kondo, who wrote the book “ the life-changing magic of tidying up” then you know that decluttering and clearing out this time of year sparks joy. There are many emotional stages that occur during spring cleaning: the dread of finding the time to do it, the adrenaline of getting into the groove of it, and finally a sigh of relief when it’s all done. In order to get the cleaning job done quickly and efficiently you will first need to gather cleaning supplies and equipment. As with any decluttering project the first step is to sort through your cleaning products, supplies and tools. Make sure you toss cleaning products, rags, tools and supplies that are in poor condition. You do not need to buy a different product for every different task. Keep your supplies simple so that you don’t end up with a closet filled with excess and overflowing products when you are done. I want to start by wishing all fathers, grandfathers, great-grandfathers, and father figures a happy Father’s Day! This is the time of year that we celebrate my husband who is the father of our two daughters and “Papa” to our three granddaughters. My husband requests barbeque on the back deck and time to spend washing cars, tending to his garden, and anything else that involves being outside in the sun! Needless to say, this is the time of year that we start looking outside to all of the projects that get put on the backburner all winter. Whether you own a home or rent, you can start “summer-izing” your home with the front door! Replace any welcome mats that are no longer functional or attractive. Clear the excess clutter and sweep debris and cobwebs from your front porch or entry. Add a wreath or hanging plant for extra warmth and curb appeal. Look around the windows, garage, and doors to see if there is any paint chipping. By touching up chipped or faded paint you will keep your home looking new and clean. For those of you who may choose to sell in the future, this will be a great way to keep up with the curb appeal of your home! Other areas that may need freshening up with some paint include shutters, house numbers (make sure they are visible in case of an emergency! ), railings, porch spindles, decks, etc. If the project is too much for you to do on your own, ask friends or family to recommend a trustworthy teenager or college student looking to make some extra cash! Next, draw your attention to outside lights. Replace bulbs, clean out and wash light fixtures, and consider any additional lights you may want to have added to your home for safety reasons. Are there any walkways or areas of your driveway that need to be repaired? Make sure walkways are free of clutter and areas that may cause someone to trip are addressed. Replace any worn weather stripping around doors, windows, and the garage. Replace or repair any broken windows. Eliminate excess or broken garden statues and lawn ornaments. Check the condition of your garden hose and garden tools. Eliminate any you have not used in the past few years and have no intention of using. Clean out, discard, or replace garbage cans as needed. Power wash decks, walkways, siding, and lawn furniture. Clean the grill and replace propane tank. Discard broken lawn furniture including outside tables, chairs, and umbrellas. Clean or replace cushions and pillows. Discard excess or broken pots. Plant fresh flowers or herbs in any pots you decide to keep. Rightsizing the outside of your home can be just as beneficial as rightsizing the inside. 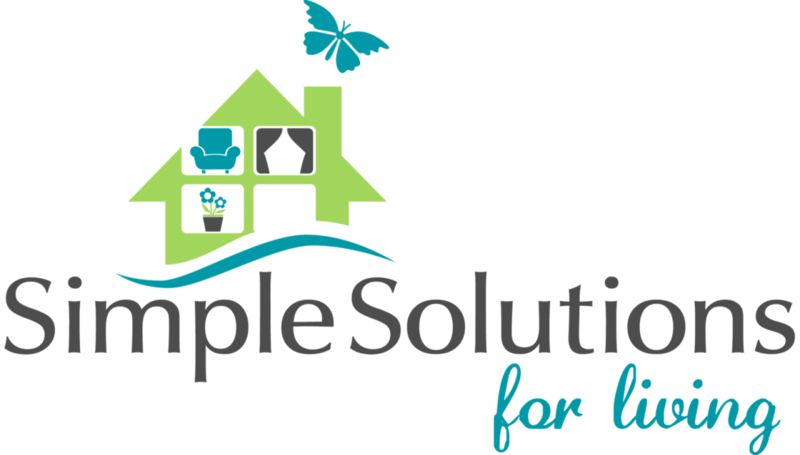 By keeping your home looking and functioning at its best, you will have a home that is safe, inviting, and simplified. This rule may seem common but the One in One out Rule is easy to put into practice. If you bring one object in your home, you’ve got to let go of a similar type of object. Such as buying a new pair of shoes and then discarding or donating a pair of shoes from your closet. If you really need to declutter than try the One In, Two Out rule! This will help you to reduce the clutter quicker. One main reason for clutter is the stuff that we bring home at the end of the day that mindlessly gets dropped right inside the door. Take care of the items that you bring home such as mail, lunch box, shoes, tote bags etc. right away before they can even pile up. If you have 4 people in your household and everyone that comes in the door with shoes, coats, and tote bags drop them at the door your clutter can turn into a large pile very easily. A flat surface such as the kitchen counter can turn into a pile quickly. I call this the dumping station. Clutter gathers into a pile when an object isn’t put in its place. The goal in a decluttered home is “a place for everything and everything in its place.” So, rule three for reducing clutter is to empty your dumping station every night before going to bed. Keep a donation, garage sale, or consignment box ready at all times. As soon as you make a decision that you no longer want an object, put the item into the appropriate box. Keep the boxes in a convenient area that you can access easily, such as in the corner of a closet, in the garage, or the trunk of your car. Clutter is something you’ve got to deal with each and every day. The final rule for reducing clutter in your home is to make the decluttering process a habit. Not only do you need to put things in your donation box when you think of it (like rule 4), you’ve got to make just a little bit of time here and there to deal with your possessions, to put them in their place or to pare them down. If you can just declutter for 15 minutes a day, consistently, and in no time you will see results. I was looking for a downsizing project to do at my own home this weekend while the temperature outside was reaching 90 degrees. I decided to tackle one of the most neglected areas of my home which is the front hall coat closet. Not only does this closet hold the usual coats, winter hats, gloves, and scarves but also the American flag, my yoga mat, games, tablecloths and more. It’s also where I tend to shove shoes and any stuff that family members leave by the front door. 1. Gather a trash can, trash bags for donation and a laundry basket for dirty items. Grab the vacuum and a bucket of cleaning solution. 2. Remove everything from the closet. Take out all of the coats, gloves, hats, scarves, shoes and miscellaneous items. 3. Vacuum the entire closet including the shelves and corners to remove any cobwebs. Give the front and back of the doors a good wipe down as well as the door track if it is a sliding door. Wipe the shelves, trim, clothes bar and walls if necessary. 4. Time to sort and decide what goes back in and what gets tossed or donated. Toss out the following: Gloves that do not have a mate. Frayed and worn items or shoes. Bent wire hangers and excess hangers (leave a few for guests). All Trash. Be sure to check the pockets of all of the coats. I found tissues, cough drops, money, theatre tickets, and receipts. Donate Items that are no longer worn or wanted but in good condition. Launder if needed. Keep items: that are in good condition and that are still worn. Launder or dry clean the items that are soiled and have an odor and put back the rest. Fix any loose buttons. Return items that don’t belong in the coat closet to their original home.
. Replace any broken hangers with new ones. Put the hats in a container. Put gloves in another container and scarves in a third container. I used baskets in my closet but you may also use clear plastic bins to a label. Cleaning the coat closet didn’t take long at all. Now I am ready for when the weather turns cooler and I need a clean jacket. A Simple Solution for a clutter-free closet!